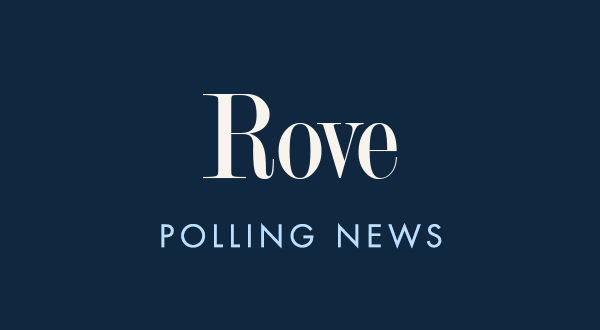 According to the Pew Research Center, voters who support Democratic candidates for Congress are more politically engaged than voters who support Republicans for Congress, but voters from both parties are politically active on social media. Seven percent of registered voters (5% for Republicans and 9% for Democrats) said they have worked or volunteered for a campaign. Fourteen percent of voters said they have attended a political rally or a campaign (8% Republican versus 22% Democrat); 15% of voters said they have attended a local government meeting (14% Republican versus 18% Democrat); 19% said they have contributed money to a campaign (18% Republican versus 23% Democrat); and 30% of voters said they have contacted an elected official (28% Republican versus 36% Democrat). Both Republicans and Democrats are engaged on social media, however. Thirty-one percent of voters said they publicly expressed opposition to a campaign on social media (31% for Republicans and 35% for Democrats. Thirty-four percent of voters said they publicly expressed support for a campaign on social media (39% for Republicans and 35% for Democrats). Democrats believe enthusiasm is on their side this election cycle, but time will tell whether #Resist political rallies translate into volunteers and votes. 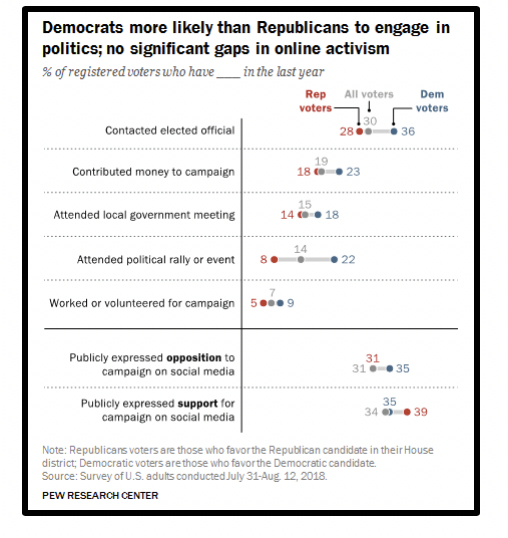 Republicans must give their voters reasons to engage on more than social media, while also contributing, volunteering, and attending events.